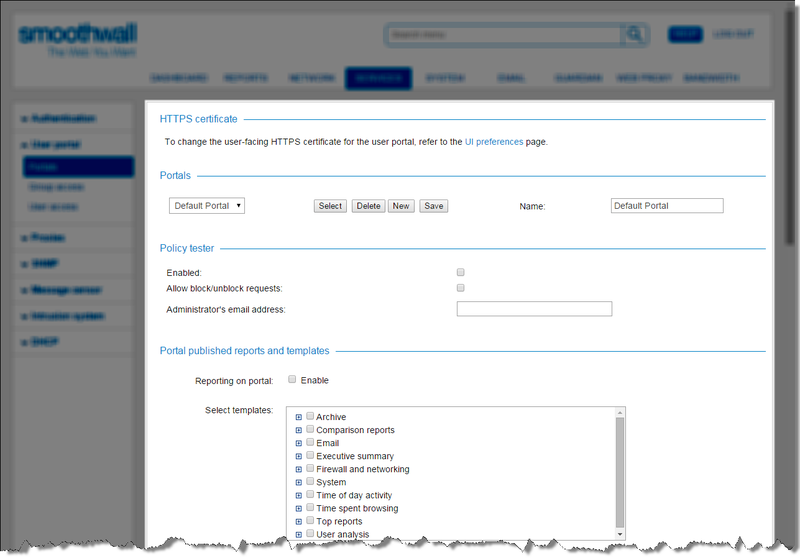 • If the Smoothwall is licenced for Multi-Tenant you will have an additional parameter: Restrict reportable tenant data to. From the drop-down menu, select the tenant data sets applicable to this portal. For information about tenants, see About Multi-Tenant Managed Services .